The Nellus Academy Incident is a novel by author Jennifer Brozek and her debut publication in the BattleTech universe. Initially published between 29 July 2012 and 15 December 2013 in altogether 25 parts as a BattleCorps serial, the book was also published as a single Ebook volume outside of BattleCorps on 26 January 2014, and as a print edition on 4 March 2018. 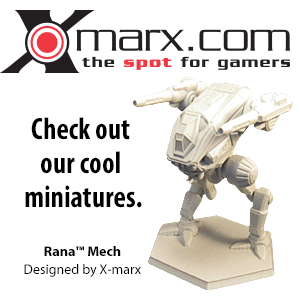 “ The battlefields of the 31st century are ruled by the BattleMech; twelve-meter-tall, 100-ton bipedal engines of pure destruction. 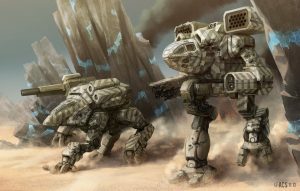 Piloted by MechWarriors, commanded by neo-feudal officers, owned by national governments and bands of mercenaries, these 'Mechs make every other ground combat vehicle obsolete. This is the warfare of fusion-powered giants. Allegra Greene is no stranger to the military; her father is a general, after all. But when she enters the Nellus Military Academy, she find far more than she expected. She finds a group of friends that will keep her going, challenging training, and instructors that push her to the edge and beyond. Unfortunately, that's not all she finds, and soon the endemic politics and warfare of the Inner Sphere reach the Nellus Academy. And when their spaceship is hijacked and crashlands on a remote moon, Allegra and her friends find themselves in a life-or-death struggle just to survive! A news item on the INN section of the BattleCorps site ("New Author, New Story") announced it as a serial aimed at a somewhat younger audience than the usual adult-fiction content, with the protagonist being a student instead of a "50-year-old infantry sergeant". However, the level of violence and suffering throughout the serial is arguably quite high; many of the protagonists die over the course of the story. BattleCorps changed their format midway through the publication of this serial. As a result, the first five parts have roughly twice the pagecount of the subsequent parts although the wordcount for all parts remains similar. ↑ "New Author, New Story"
This page was last edited on 2 July 2018, at 11:02.